If you are wanting to develop your management skills, then you will find listed here some terrific articles and resources that offer plenty of practical tips and advice on all aspects of management. Maybe you are a new manager seeking to develop a firm foundation of management skills. Or perhaps you are an experienced manager, seeking to add some polish to your existing skills set. Either way, you will find something here to interest you. Like any set of skills – whether in business, sport or personal relationships – you can gain useful ideas, insights and principles from reading, but it is in their application that the deeper learning occurs. Emotional intelligence – EI is now seen by many organisations as a better predictor of career success than IQ. An awareness of the emotions of yourself and others is essential for building healthy relationships. Positive thinking – you will need a positive attitude if you’re going to handle the challenges and stresses of people management. Presentation tips – if you get nervous at the thought of public speaking, you’re not alone. Here’s some great tips on planning and delivering an effective presentation. The development of your management skills is an on-going process. As you identify ways of improving your management capability, be careful that you don’t try to change too much too quickly in yourself. Gradual, steady and consistent development of your management skills with the implementation of one new idea at a time – this will more likely lead to sustained change and improvement in the results you deliver as a manager. 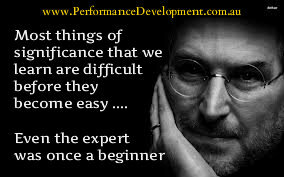 By the way, you will also find some great resources at our Performance Development Blog, with more articles on Peak Performance and Leadership Skills for example.